Lotus Colors in my Favorite Skirt! 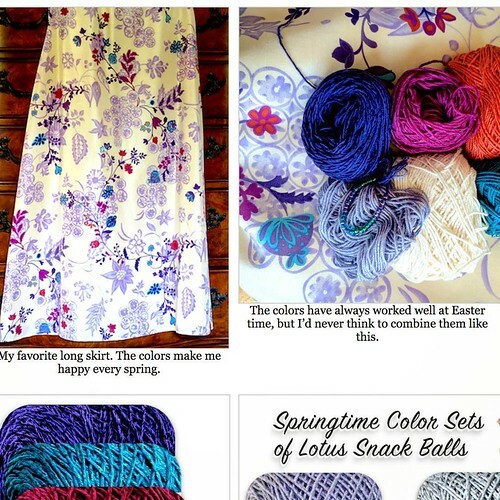 Blogged about the interesting colors of my favorite long springtime skirt--non-pastel Easter. My Lotus yarn matches!